Air Namibia Limited was founded in 1946 and is Namibia’s national airline owned by the government of Namibia with headquarters located in Windhoek. The airline comprises a fleet of 10 aircraft with hubs at Hosea Kutako International Airport and Eros Airport. Reach destinations like never before with a fantastic 25% off all African destinations, until 15th February! Air Namibia affords comfortable low-cost and safe flights daily and travellers who previously wouldn’t consider flying due to the high cost, now have the opportunity of visiting family and friends or seeking out new business prospects, at super low-cost prices. 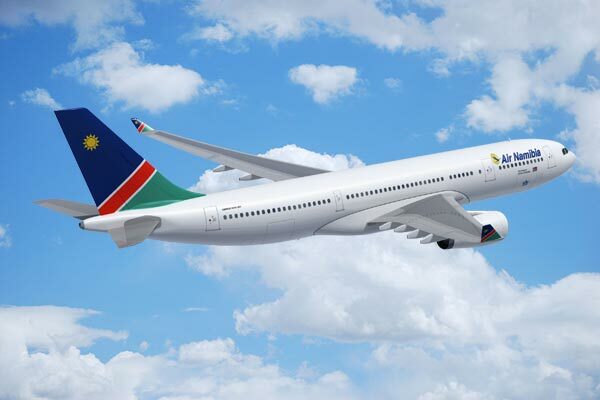 In line with its vision of being a safe, reliable, efficient and caring airline, Air Namibia’s fleet consists of 2 Airbus A330-200’s. At Domestic Flights South Africa we see millions of searches done through the year. By continuously analyzing these Air Namibia flights prices we are able to give you the best deals and the information you need to find the cheapest Air Namibia specials on flights. The table below shows the cheapest flights during the course of the year. 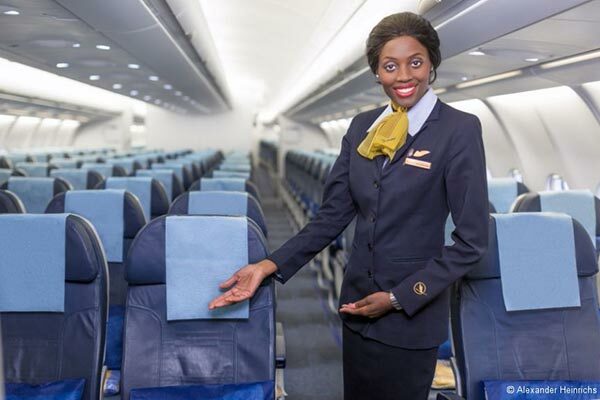 For flights between Africa and Europe, passengers flying Business Class are permitted 2 pieces weighing no more 32kg each while those in Economy Class are permitted 1 piece weighing no more than 23kg. Dimensions for baggage in either class may not exceed 158cm (w+h+d) in dimension. For flights between Windhoek, Cape Town, Johannesburg, Luanda and Accra, the allowance is the same as the above with the exception of Economy Class, where travellers are allowed 2 pieces. The airline accepts most sports equipment as part of passenger’s free baggage allowance but it should not exceed 23kg. A traveller with an allowance of one piece at 23kg may take an item of sports equipment or one piece of luggage. Passengers with an allowance of two pieces may take one piece of sports equipment, like a bicycle as one of their check-in pieces. Passengers flying in Business Class with Air Namibia are permitted two pieces of carry-on baggage while Economy Class ticket holders are allowed one piece. Each piece may not exceed 8kg in weight or dimensions of 55x38x20cm. In addition a passenger may take an overcoat, an umbrella or walking stick, a hand bag, a sensible amount of reading material, a small laptop and camera, a fully collapsible wheelchair or a pair of crutches that the passenger is dependent upon. Infants not occupying a seat are allowed 1 piece of hand baggage not exceeding 8kg in weight and one fully collapsible stroller. 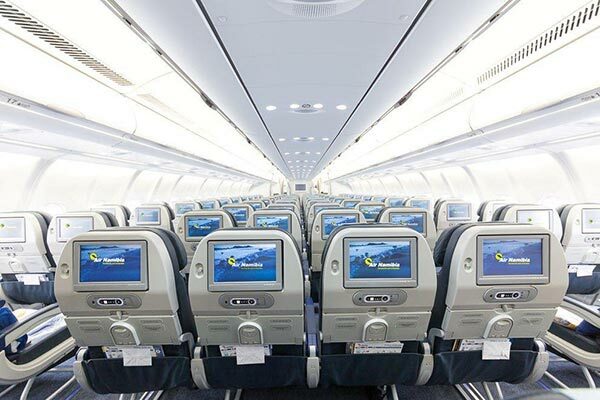 The airline’s fleet of ten aircraft comprises 2 Airbus A330-200s, 4 Airbus A319-100s and 4 x Embraer ERJ 135s that all provide great comfort with generous legroom, contemporary interiors and the latest features. Passengers can check-in online with one of three languages, English, Portuguese and German. Simply identify yourself with your e-ticket number, your name, flight details or your credit card information used to make your booking. Print your own boarding pass at home, applicable for all Air Namibia routes except for Victoria Falls, Maun and Luanda or utilise the self-service kiosks located at Johannesburg, Cape Town and Frankfurt. For domestic flights passengers must check-in at least 90 minutes prior to flight departure and within 30 minutes of flight departure. O.R. Tambo check-in closes 40 minutes prior to flight departure. Flights from O.R. Tambo to Luanda, Lagos, Sao Paulo and Kinshasa close 1 hour prior to departure. For international flights to the USA, passengers must check-in 3 hours before departure while other international flights require check-in 2 hours prior to scheduled departure. Boarding for all flights commences at least 45 minutes before flight departure. The only animals permitted in the cabin are guide dogs, one per blind or deaf passenger. Other pets will be happily transported safely by the airline, but cannot be included in the free baggage allowance, with the applicable charges being levied. For any animal and its container weighing more than 32kg, contact must be made with the cargo department for the cost including travel to and from South Africa. Passengers requiring special meals should stipulate same when making reservations and order with 72 hours of flight departure. The airline provides Kosher, Halaal, Hindu, Diabetic and infant special meals. From World Travel Awards, Air Namibia achieved Africas Leading Airline – Economy Class for 2015 and 2016. It has snatched Africas Leading Airline including Africas Leading Airline for both Business and Economy classes consecutively from 2011 up to 2014 and prior to 2011 achieved other awards. Passengers may request a refund for tickets procured through the Air Namibia website or Air Namibia reservations office for fares that permit refunds and dependent on the fare purchased, cancellation penalties may be incurred. The refund amount received depends on numerous variables, please check at www.airnamibia.com/about/disclaimers/ticket-refund-policies/ for more comprehensive information.